I saw this gadget at Sawdust2’s and had to have one. I’d been looking for ‘something’ to make large arcs with – compass, oil drum, truck rim – and when I saw this I figured it was the best choice. You can buy it online at Rockler, or Woodcraft – both sell for $19.99. These are great little items, very versatile. 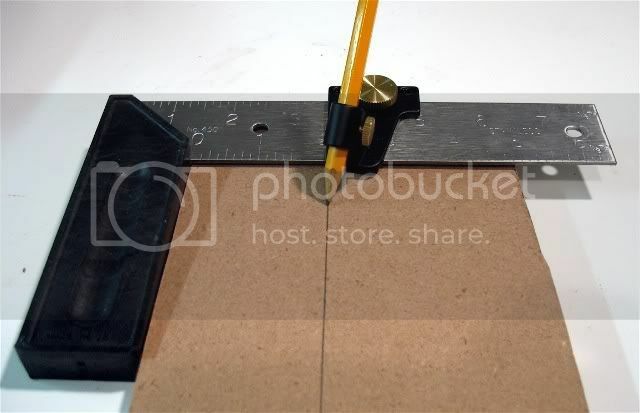 They attach to any flat ruler, square, etc. and can be used to make arcs/circles, straight lines, 2 parallel lines or scribe marks. It’s quick to move them from a 12” rule to a 36”, one of the downfalls I saw in the larger compasses was just that – they are large and not well suited to smaller jobs. 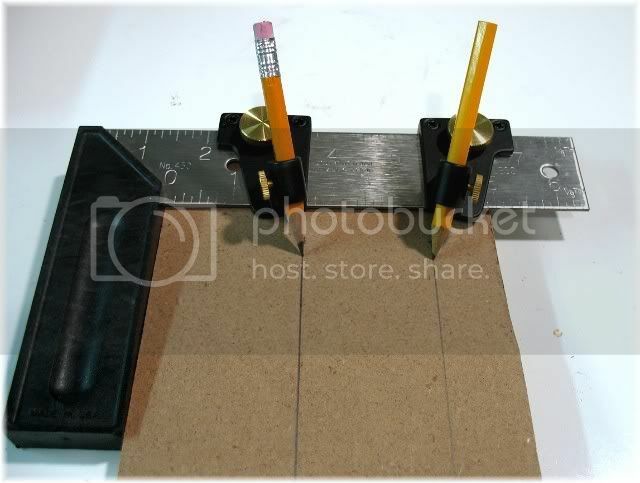 To use them, simply attach one piece and align the point or pencil to your zero mark. The other half is attached (or not) based on your application, I made a few simple marks with this one on a couple tools to show what it can do. 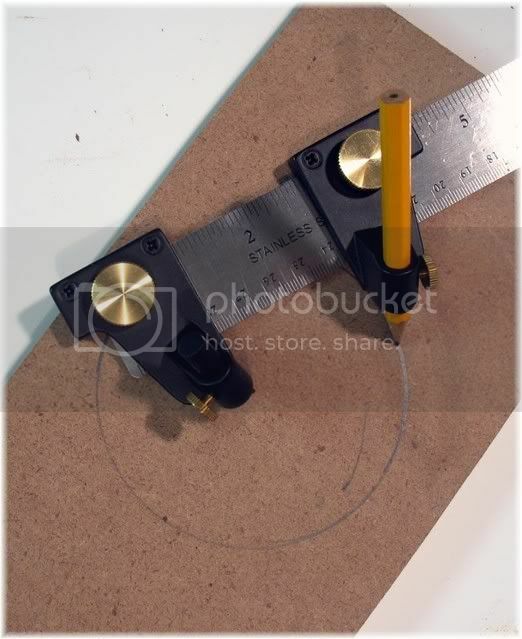 Simple and straight forward – set your center point, measure your radius and scribe your arc or circle. I needed to plug a hole in my workbench and used this to swing out a 3 1/2” circle to do just that. 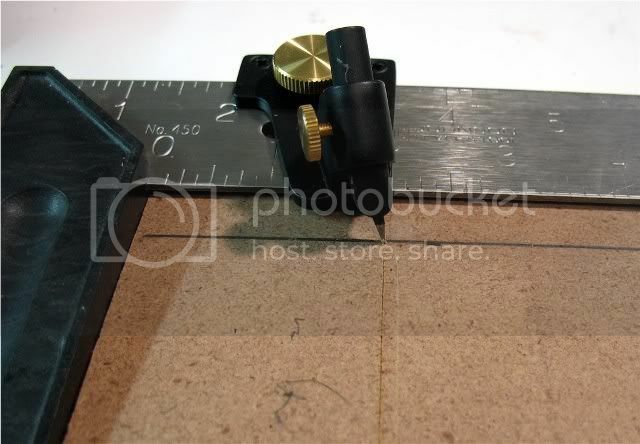 Simple again just make your mark on your workpiece, attach one half of the Tri Scribe and adjust your pencil point, the same premise applies (of course) if you want to scribe a line – just use the scribe point as opposed to the pencil. 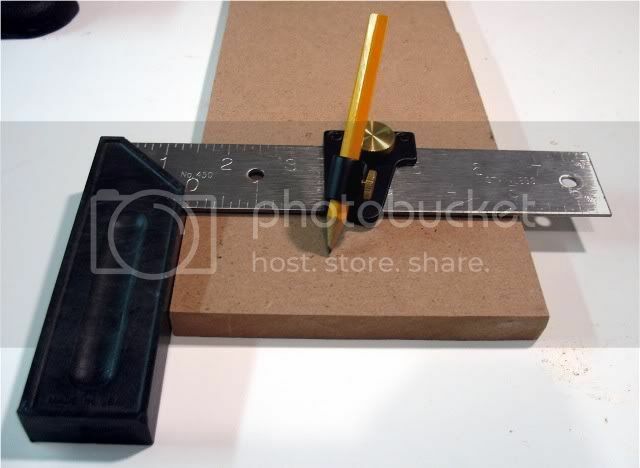 Just like the straight line but with 2 pencils or scribes, great for marking out mortises or other parallelish things on your workpiece. The points can be a little tricky to adjust sometimes. The set screw will either be too tight on the scribe point or fall out. That may actually work itself out a bit with use. Not a big con but figured I’d toss it in here. This is a great addition to any woodworker’s arsenal. It’s fairly cheap and very versatile, a great purchase in my opinion. Hey, that’s pretty cool! I like the option of using a pencil of scribe! I think I’ll have to get one. That is neat. It’s always nice to find a useful tool at a good price. Good review – Thanks. Great review and a great tool. 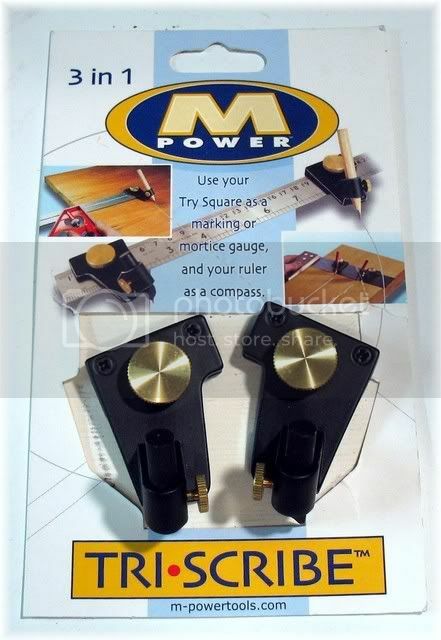 I been on a marking and measuring device buying binge and I feel the hunger building yet again! If you enter in promotion code V8752 you get free shipping too. Can’t beat that. Just ordered mine. Thanks Gary – I couldn’t find it there when I searched last night. I’ve updated the review. Actually I didn’t find it there either, but Google did. wow thats really cool. i think i just may have to look into that. BTW that free shipping thing is good until March 24th 2008. 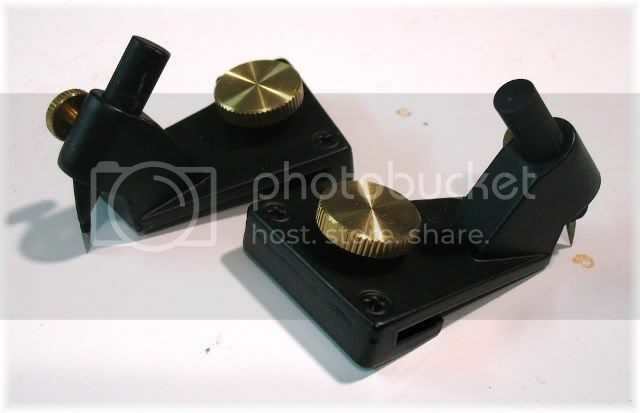 Now that is a tool that I can use and it won’t break the bank, thanks for the review! Neat tool Tim, thanks for the review.